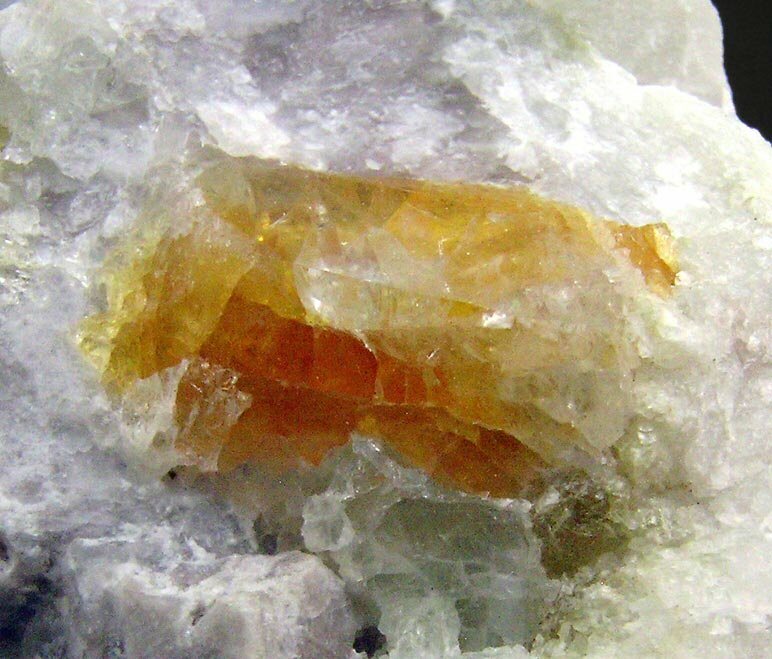 Comments: Yellowish orange crystal of johachidolite on matix (quartz, muscovite). Location: Pein Pyit, Mogok, Mandalay Myanmar. Scale: Crystal Size: 1.2 × 0.7 cm.